Stone masonry is a profession that has been around for centuries. It takes skill and a lot of patients to become a fully qualified stone masonry. On top of this, experience with a diverse array of stone types will be an extremely important factor. If you are considering hiring a company to repair your structure In view of adding value to your property, then DIY patch up work will not be enough. Instead, you will need to invest in an experienced professional stone mason to get the right finish for your stone surfaces. In short, repairing buildings, walls, and other structures with stone compounds require the proper due care and attention. Thereafter, the transformation from a shoddy looking stone structure to a well-maintained one will be pleasing on the eye. Fresh looking stone structures that have been maintained will add value to your property by giving it curb appeal. On the other hand, if your stone structures are looking shoddy, then a property valuation assessor will mark these down as ‘not well maintained’. This means there is the possibility that any new owners of the property may need to spend money stone structure repairs. Take a look around your property and look for stone structures that are not pleasing on the eye. Next, take pictures of these areas so you have a pictorial record of them. You can then send these pictures to a stonemason and get an estimate on how much it would cost for the company to carry out repairs. Which Areas Of My Property Could a Stone Mason Help To Improve Its Value? Stonemasons often come with an entourage of experts. These professionals can help repair chimneys to give them a more natural fit with your property. Stone window outskirts on old-style houses can be repaired and repainted. Old lead work can be replaced and maintained. Contrary to popular belief, stonemasons also work inside. It is not just the external structural elements of your property that makes a stone masonry company useful. Many Victorian homes require a stone mason because the indoor décor such as fireplaces as well as the walls in the home are made of some form of stone. 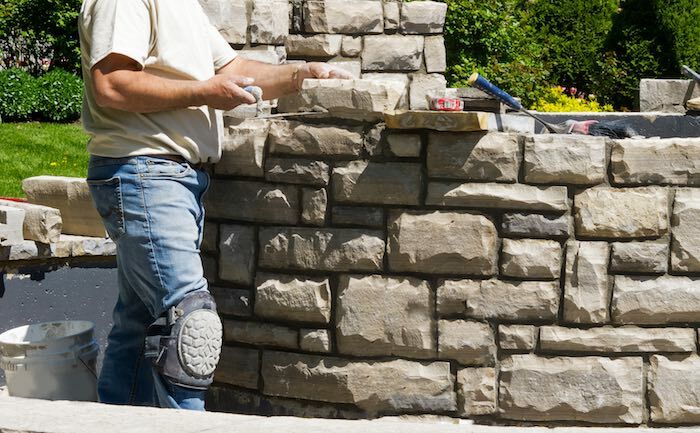 Consequently, if you are looking to add value to your property do not just pay attention to outside your home, but also look for areas inside your home that may benefit from stonemasons services. Fireplaces are always factored into an assessors audit when auditing the value of your home. Having a well-looked after fireplace will increase the value of your home. Any stone mason will tell you that the return on your investment for fireplace repairs is always worth the expenditure. Weighing all this up, the end goal is to spend your money wisely. You should have an expert stonemason either review photos or visit your property to address areas of concern. Get an estimate for every part of the property that can be improved. Make sure that you ask questions along the way with the most important being ‘Which parts of the house will add the most value to the property if work is carried out’?. To speak to one of our expert team about your stonemasonry requirements, please contact us here.